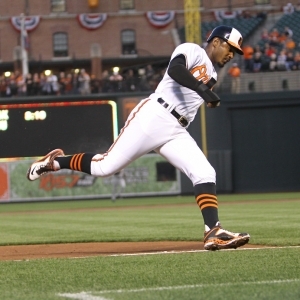 The Minnesota Twins take on the Baltimore Orioles on Thursday at Oriole Park. The probable starters are Tyler Duffey for the Twins and Miguel Gonzalez for the Orioles. The opening line for this matchup has Minnesota at +141 and Baltimore at -151. The over/under was set at 9. The Twins, with a 69-51 run line record, cover the spread 58% of the time. They also have a 56-56 over/under record. The Orioles are 64-54 against the run line and have a 50-61 over/under record. They cover the spread 54% of the time. The Twins show up with a 59-61 record, including 21-37 on the road. Tyler Duffey has an earned run average of 6.75 and is 1-1 so far on the season while having a 1.62 WHIP. He's pitched 8 innings thus far while surrendering 6 hits over that time and when he starts, the Twins are 1-1. Against the over/under, the Twins are 1-1 in his starts. He is getting 5.5 runs from the team when he takes the mound. The bullpen has given up 367 hits on the season and have an earned run average of 4.22. The bullpen has struck out 266 and walked 115 batters this season while opposing teams hit .256 against them. Minnesota has a team average of 9.58 hits allowed per game and are averaging 6.17 strikeouts per nine innings. With a team earned run average of 4.23, they are 25th in the league. As a team, Minnesota is batting .248, good for 21st in the league while putting together a .224 average away from home. The Twins on-base percentage sits at .302, which puts them at 28th in the league and they have a team slugging percentage of .400. With 115 hits, Joe Mauer leads the team while his team ranks 24th in hits per game with 8.29. Baltimore is 38-22 at home while holding a 61-57 overall record on the season. Miguel Gonzalez is starting this game 9-8 for the season with an earned run average of 4.42 and a WHIP of 1.32. He's pitched 126.1 innings thus far while surrendering 126 hits over that time in which the Orioles are 12-10. Against the over/under, the Orioles are 11-11 when he starts. He is getting 4.7 runs from the team when he takes the mound. The bullpen has given up 306 hits on the season and have a team earned run average of 2.68. The Orioles bullpen has struck out 368 batters and walked 133 this season while opposing teams have hit .225 against them. Baltimore has a team average of 8.47 hits per game and are averaging 7.74 strikeouts per nine innings. With a team earned run average of 3.72, they are 12th in the league. As a team, they are batting .256, good for 11th in the league while putting together a .271 average at home. The Orioles on-base percentage sits at .309, which puts them at 21st in the league and they have a team slugging percentage of .427. With 137 hits, Manny Machado leads the team while his team ranks 12th in hits per game with 8.65. In terms of team defense, the Twins have a fielding percentage of .986 with 64 total errors, 1,206 assists and 3,156 put outs. Over the course of this season, the Orioles have accumlated 48 errors while having 1135 assists and 3,129 put outs leading to a .989 fielding percentage.